In 1848, the Lewisburg Cemetery Association was incorporated by the Pennsylvania General Assembly and opened on six acres of land. Nonprofit and nonsectarian, the Cemetery is governed by a volunteer seven- member Board of Managers and a president. Now comprising 38 acres, the cemetery is located on South Seventh Street between St. Catherine Street and Bucknell University. The Lewisburg Cemetery is an exceptional example of the rural cemetery movement of the mid-19th century. Rural cemeteries were developed to provide tranquil spaces outside of rapidly developing towns and cities before public parks were common. To this day, the Lewisburg Cemetery is intended to be a refreshing place of quiet contemplation for members of the community. After the Lewisburg Cemetery opened, downtown churches, the town of Lewisburg and outlying cemeteries disinterred graves and moved them to the new cemetery. As a result, many early settlers of Union County, including Revolutionary War and War of 1812 veterans, are among those whose graves were removed to the Lewisburg Cemetery. 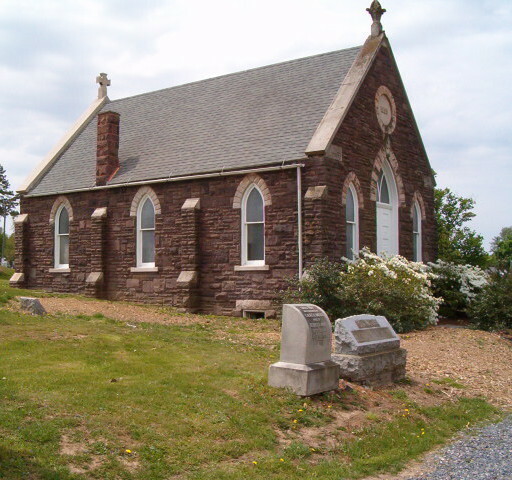 In 1899 a stone chapel was erected. It is rented for special occasions such as weddings and memorial services. In front of the chapel is a columbarium with a fountain, garden, and benches. The Veterans Section on the chapel road, which was initially set aside for veterans of the Civil War, also memorializes veterans of subsequent wars. A mausoleum for above ground burials located near the cemetery entrance, was built in 2009. For people who seek traditional interment, grave lots are available for casket burials. For above ground casket burial, crypts may be purchased in the mausoleum. For people who prefer cremation, the cemetery offers several options. Above ground niches are available in the columbarium and mausoleum. The cremation garden provides in ground niches with memorial vases. Grave lots may be purchased for in ground interment of cremated remains. Veterans who are entitled to Veterans Administration benefits may choose to be buried in the Path of Honor. The cemetery does not charge for grave space, but interment and foundation fees apply. All headstones must be standard granite upright markers provided by the Veterans Administration. A perpetual flower fund may be purchased by families for placement by the cemetery of flowers for Memorial Day or special occasions. Corner of St. George and South 7th Street between St. Catherine Street and Bucknell University. Concrete block building on the south side of the first paved intersection in the cemetery. Deliveries are by appointment.